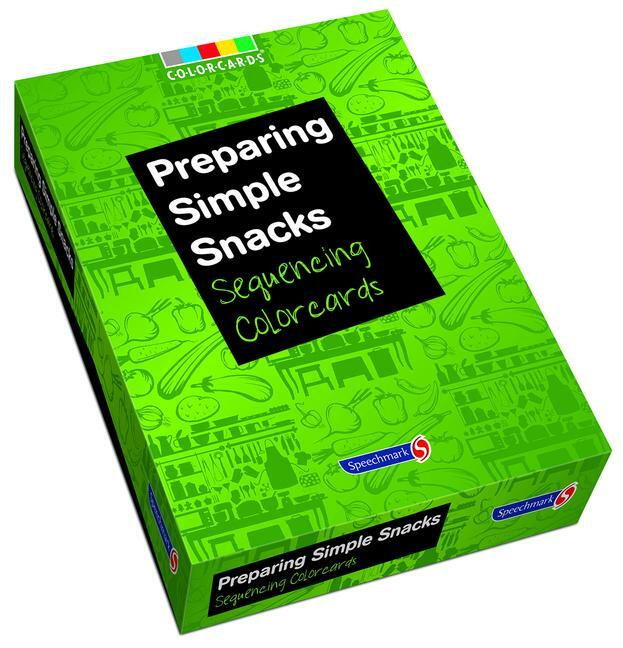 This is a Colorcard resource aimed at people who have language and/or sequencing difficulties which will allow inclusion in shopping and preparation of simple meals, thereby promoting independence. The set contains cards detailing all stages of meal preparation from shopping to cooking and enables those with language difficulties to select the required items in a shop; the correct equipment required for the cooking task; how to prepare the ingredients and using the step by step cards - how to prepare the meal. The contents of this title include: illustrated ingredients card, equipment required card, step by step ingredient preparation and cooking cards and a recipe card. The meals include: Beans on toast; Jacket Potato; and, Simple Sandwiches.